Review research about why diets and dieters continue to fail, and learn how small changes can lead to big results. For the first time ever, overeating is a larger problem than starvation among the world’s overall population (Buchanan & Sheffield 2017). Losing weight—and, perhaps more importantly, not regaining it—is a challenge facing millions of people worldwide. According to the World Health Organization (WHO), global obesity rates have nearly tripled since 1975. Further, 1.9 billion adults, 18 years and older, were overweight in 2016. Of these people, more than 650 million were obese (WHO 2017). In 2013, the American Medical Association House of Delegates declared obesity a “disease” requiring treatment because of the multiple medical, functional and psychological complications associated with it. This article presents an energy balance update and contemporary understandings of why diets don’t work and why people are missing the mark. Fitness professionals can use the 50 easy-to-implement calorie-cutting ideas presented, along with information about the evidence-based small-steps approach, to help clients start off the New Year with a personalized, realistic and long-lasting healthy eating plan. Dieting can be defined as a deliberate attempt to restrict food consumption and achieve (or maintain) a desired body weight (Buchanan & Sheffield 2017). The inherent message in many diet plans is that certain foods or food groups are making us fat, and we must largely or completely avoid them. Although numerous plans claim to be medically sound, the associated long-term, health-related benefits are incomplete, and the restrictive nature of these plans makes them difficult to follow and maintain. However, the diet industry continues to be focused on which foods we should eat. While this appears to be a successful sales and marketing approach, it doesn’t educate people about the negative effects of consuming large quantities of food and sugary drinks, a primary factor in ongoing global weight gain. The fact is, “The development of obesity by necessity requires positive energy imbalance over and above that required for normal growth and development” (Hall et al. 2012). There’s no way of getting around it—a person who eats and drinks too much is going to gain weight, and a person who seeks to lose weight must limit calorie intake. What Do We Know About Dieters? 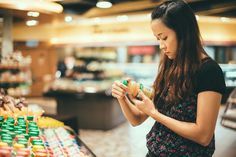 After decades of research investigating “the battle of the diets,” a new line of study is examining the psychosocial factors linked to successful and unsuccessful dieters (Buchanan and Sheffield 2017). Recent findings submit that a key factor in dietary success is adherence to the diet. Successful dieters have resilient adherence; how or why they develop this commanding capacity is yet to be determined. This pioneering research also indicates that people who fail at dieting often adopt an “all-or-nothing” approach, thinking in a dichotomous way (i.e., their thoughts go in two directions) (Buchanan & Sheffield 2017). By contrast, those who are successful tend to think about dieting as a process in a continuum of changes. 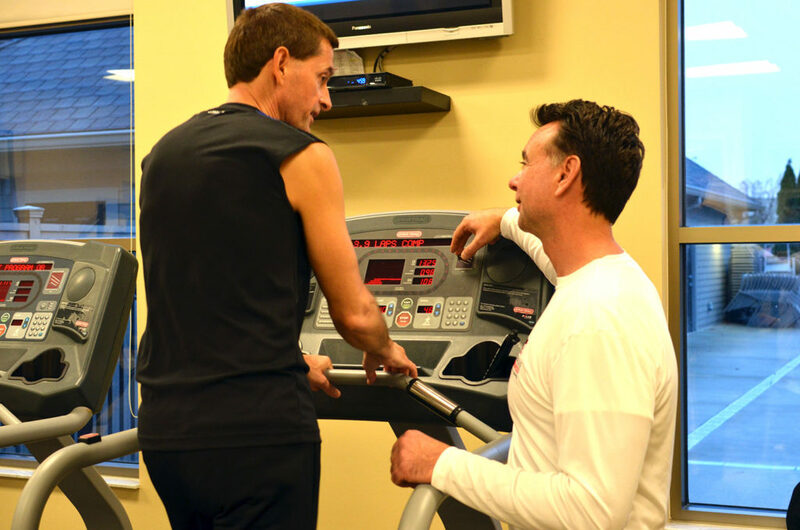 Personal trainers who work with dichotomous-thinking clients should acknowledge small weight management victories and openly discuss lapses in an effort to teach clients that successful weight management includes ups and downs. 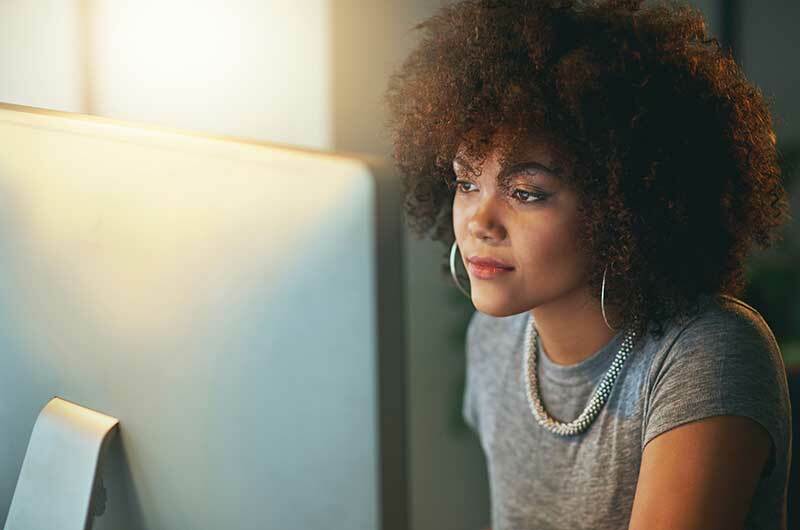 The research by Buchanan and Sheffield offers other insightful findings that can be helpful in client interactions (see the sidebar “Research Findings on Why Dieters Fail”). Consumption of fat, protein and carbohydrate not only provides energy for daily living but also determines a person’s weight. A lean adult stores about 130,000 kilocalories of fat and may have ~35 billion adipocytes (fat cells), while an extremely obese individual can store ~1 million kcal of fat and may have ~140 billion adipocytes (Hall et al. 2012). Fat is stored primarily in the form of triglycerides. Carbohydrate is stored as glycogen, which is bound to water, in the liver and muscle. Changes in carbohydrate storage often result in sizable shifts in fluid storage. The more carbohydrates are eaten and stored, the more fluid the body retains. Fat, by contrast, does not need any water to bind with it for storage in the body, and protein needs very little water. Therefore, a person who eats a higher percentage of carbohydrate (not necessarily more calories) will retain more water, thus increasing total body weight. As little as 2%–10% of total food intake becomes waste and is excreted. The rest is absorbed and oxidized for energy, including growth, physical activity, cell maintenance, pregnancy and lactation, and other biological life processes. These physiological processes are fueled by the energy harnessed from fat (9 kcal/gram), carbohydrate (4 kcal/g) and protein (4 kcal/g). 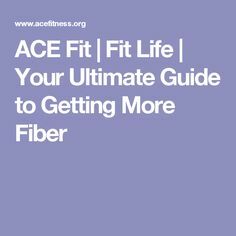 Some foods, depending on the type of fiber content they have, are not digestible and are thus not absorbed and used by the body (Hall et al. 2012). Hall et al. explain that common energy balance components of interest in weight management include resting energy expenditure (REE), thermic effect of food (TEF) and activity energy expenditure (AEE). REE is the energy needed throughout the day to stay alive and does not include energy used for exercise. It represents two-thirds of the body’s energy needs and can vary widely between people, primarily according to body size (the greater the body mass area, the greater the REE needed to stay alive) and body composition (muscle versus fat). Resistance training, when performed regularly, directly affects muscle mass and may influence (i.e., increase) a person’s REE. The heart, brain, liver and kidney, which weigh relatively minor amounts, demand substantial energy for life and contribute pointedly to the body’s total REE. Interestingly, scientists believe that approximately 250 kcal/day of REE are not fully accounted for by differences or variabilities between people. TEF is linked to food processing and digestion. Owing to its dietary composition, protein elicits the highest TEF, followed by carbohydrate and then fat. TEF varies between individuals. AEE is the fuel used by the body via structured exercise and nonexercise movement (such as moving, shopping and completing daily chores). This is the factor with the greatest observable range, as many people move a lot during their waking day and exercise regularly, while others don’t move much at all (Hall et al. 2012). Small changes are more realistic to achieve and maintain than large ones. From years of research and observation, the committee concurred that large behavioral and lifestyle changes are the most difficult to sustain. However, small changes—such as simple food substitutions (i.e., replacing a 12-ounce regular soda with a glass of water with lime)—are quite doable and maintainable. Even small changes influence body weight regulation. Hill contends that most people in the United States gradually gain weight over time. He explains that a slight increase in energy intake (diet) combined with a slight reduction in energy output (exercise and physical activity) can be enough to create an “energy gap” of 100 kcal/day, with a stored body fat efficiency of about 50 kcal/day. Thus, as a mean average, countless people are gaining about 2 pounds (or more) of fat per year (Hill 2009). 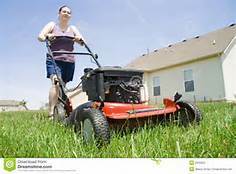 Small, successful lifestyle changes improve self-efficacy. Self-efficacy is a person’s own sense of being capable of performing in a certain manner (in this case, making small lifestyle changes) to attain certain goals (in this case, losing weight and preventing weight regain) (see Figure 2). The task force suggests that positive changes in self-efficacy may motivate people to greater weight loss progress. The small-changes approach may be applied to environmental forces. 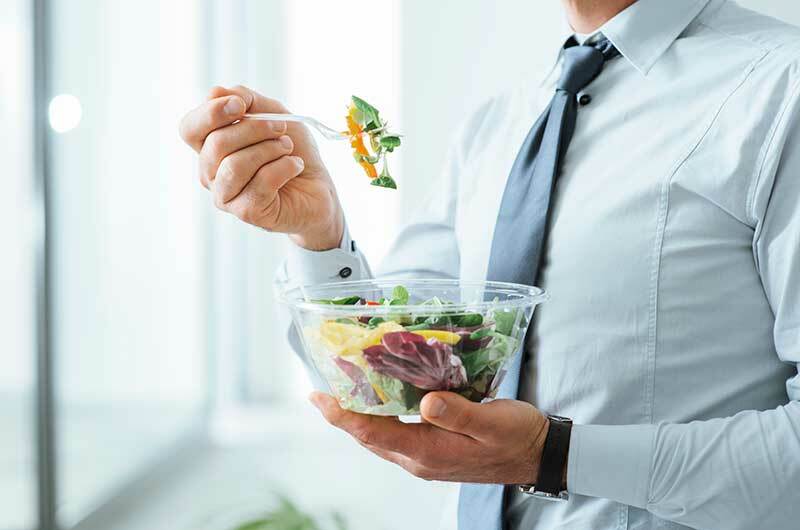 Through triumphant marketing campaigns, business entities such as restaurants, food industries and fast-food establishments have created environmental cues that encourage excessive food intake. It is hoped that the small-changes approach can successfully restrain these environmental forces (see the sidebar “The Balance Calories Initiative” for one example). “Obesity is preventable” (WHO 2017). This is a crucial message for fitness professionals to convey to clients, along with the mindset that healthy eating is a habit, not a diet. With diligence and dedication, fitness professionals are leading the way to creating a healthier society. Encourage small changes to pave the way for big winning moments, one client at a time. 1. Control triggers. For some people, certain foods trigger overeating. Be aware of these foods and find ways to avoid them by substituting satisfying, nontriggering foods. 2. Plan for parties. Before attending social events, dinner parties or catered occasions where there will be rich, high-calorie foods, eat a light protein-based snack (i.e., bean salad or yogurt). 3. Find a balance with favorite foods. It’s common to overindulge on favorite foods. Identify yours and commit to enjoying them, but don’t overindulge. 4. Be aware of breakfast starch overload. Many people treat themselves to a special bagel for breakfast, along with cream cheese, coffee and juice. Since a bagel today is equivalent to about five slices of bread, try a breakfast of egg whites, fruit and a quarter bagel instead. 5. Combat protein overload at dinner. Restaurants regularly entice customers with irresistible steak, seafood and chicken specials. Split a meal with a friend to cut the colossal protein calorie overload. Perhaps start the meal with a low-fat salad, and eat plenty of vegetables. 6. Switch from a 3-ounce serving of meat to the equivalent of a meat alternative, such as lentils. 7. Switch from a serving of bread to a serving of rice cakes (about five rice cakes). 8. Switch from a 6-ounce glass of orange juice to a cup of cantaloupe. 9. Switch from a 1.5-ounce serving of cheese to an 8-ounce yogurt. 10. Switch from a half-cup of dried fruit to a cup of berries. 11. 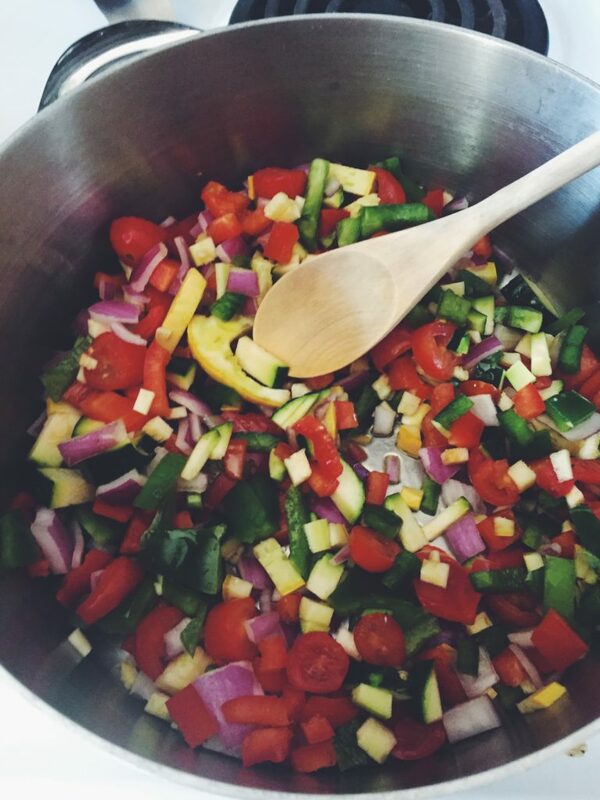 Choose olive oil–based dressings instead of the creamy types. 12. Choose the grilled fish or chicken over fried options. 13. Choose whole-wheat or rye instead of white bread. 14. Order mixed berries for dessert rather than a slice of cheesecake, or ask for just a small serving. 15. Choose mustard over mayonnaise on sandwiches. 16. Choose only the foods you really enjoy. 17. Fill up on veggies, fruits and salads, and put the dressing on the side. 18. Skip foods with a lot of sauce. 19. 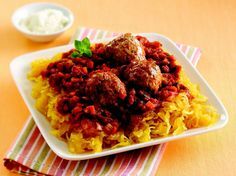 Commit in advance to eating just one decent-sized plate, and avoid wearing loose-fitting clothes. 20. Eat slowly, savoring each bite as you (hopefully) engage in conversation with a friend or companion. Enjoy your meal with water rather than soda. 21. When preparing and cooking multiple meals, freeze what you’re not immediately eating in single-serving containers. Bake casseroles in individual-size dishes. 22. To minimize overeating, serve the main dish on a salad or bread plate. Don’t leave food sitting on the counter. 23. Do not eat anything out of a bag or container. Place the food on a plate or in a bowl so you see precisely how much you’re eating. 24. Follow the “rule of one”: Have only one helping of each food group. The exception to this is vegetables. 25. Look out for added sugars (and their extra calories) in many packaged foods, including frozen dinners, salad dressings, breads and pasta sauce. Buy unsweetened oatmeal, cereal and yogurt, and sweeten them yourself with a tad of sugar or honey. 26. Make special requests when you go out to eat. For instance, swap out fries for vegetables or, when ordering a burrito, smart-swap cheese for extra tomato and lettuce. 27. Break the mayonnaise habit. Just one tablespoon of mayonnaise can have over 50 calories (depending on the brand). 28. Spice your tea or coffee with cinnamon, which helps stabilize blood sugar and is a good source of vitamin K and iron. 29. 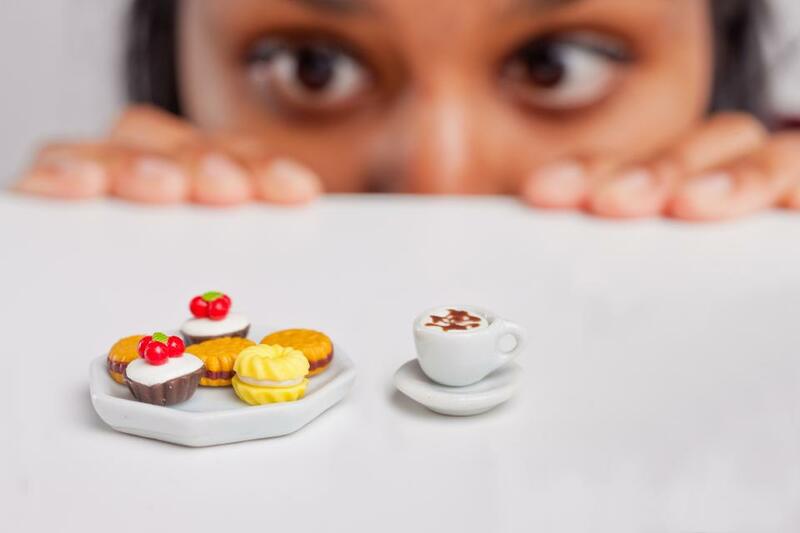 Choose the miniature versions of desserts. 30. Order appetizers as your meal. 31. Avoid the oversized food and drink portions that most restaurants serve; stick to regular-sized portions or try the kiddie size if there is one. 32. Smart-swap tomato-based sauces for creamy ones. 33. Choose thin pizza crust instead of deep-dish. 34. Avoid monster 18-ounce margaritas, which add more than 400 calories to a meal. 35. De-fat your café latte. A medium 18-ounce latte made with whole milk has 265 calories. A small 12-ounce latte made with fat-free milk has 125 calories. 36. Pay attention to your personal hunger meter. Stop eating when you feel comfortable, not full. 37. Order small sizes of all food options and enjoy the meal with a seltzer, sparkling water, iced green tea, or water with lemon. Sweet drinks—a go-to with fast-food meals—are a major source of added sugars. The verdict is still out on the health consequences of diet beverages. There is emerging evidence that some sugar substitutes may upset metabolic processes, possibly leading to weight gain. 40. Be aware that some no-fat and low-fat meals have a fair number of calories. 41. Do not keep sugary drinks in the house. 42. Choose a low-calorie meal starter, such as salad or soup, to help prevent overeating later in the meal. 43. Order salad dressings on the side. 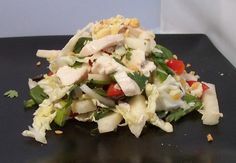 Often even healthy, “low-calorie” salad dressings can be deceptively high in calories owing to the amount used. 44. Beware of the breadbasket. The bread-and-butter habit can add hundreds of calories to your meal. In fact, one slice of white bread with butter is 116 calories—and the bread may make you hungrier. The carbohydrate in it may trigger insulin production, which increases hunger. Send the breadbasket back, or ask your server not to bring bread to the table in the first place. 45. Be judicious with the chips and salsa when you go out for Mexican food. Practice moderation. 46. Prune your meal. Literally trim the meal you have chosen to eat. For example, if you’re eating a burger, take off the bun to save around 160 calories. 47. Be mindful of your alcohol consumption. There’s nothing wrong with appreciating a drink something but be aware of the calories you’re consuming. 48. Eat more whole fruits, which contain lots of fiber, vitamins, minerals and antioxidants. 49. Eat a little lean protein at most meals. This goes a long way toward making you feel satisfied. 50. Final reminder: If you truly want to lose weight and prevent weight regain, find sustainable ways to cut back on calories. In addition, keep progressing your cardiovascular and resistance training workouts. Media messages confuse dieters. Many dieters feel conflicted and torn between foods they are motivated to eat and foods they are told to restrict. Some consensus might alleviate their confusion. Reflect for a moment on this: For the past 10 years, there has been an ongoing vigorous debate about the efficacy of low-carbohydrate versus low-fat interventions for optimal weight loss. How bewildering this must be for a lot of people! Many dieters experience high levels of body dissatisfaction and poor self- esteem. Repeated diet failure becomes a negative predictor for weight loss success. See Figure 1 for the mental health consequences of repeated diet failure. The goal of health improvement does not motivate people to lose weight. Achieving changes in appearance is the principal motivation for many dieters. Dieters tend to return to their previous eating habits. Regardless of whether a diet is successful or not, regression is common. This suggests that people see a diet as a phase, not a lifestyle change. Many dieters grapple with food cravings. The restrictive nature of some diets leads many people to crave or intensely focus on certain “forbidden” foods. 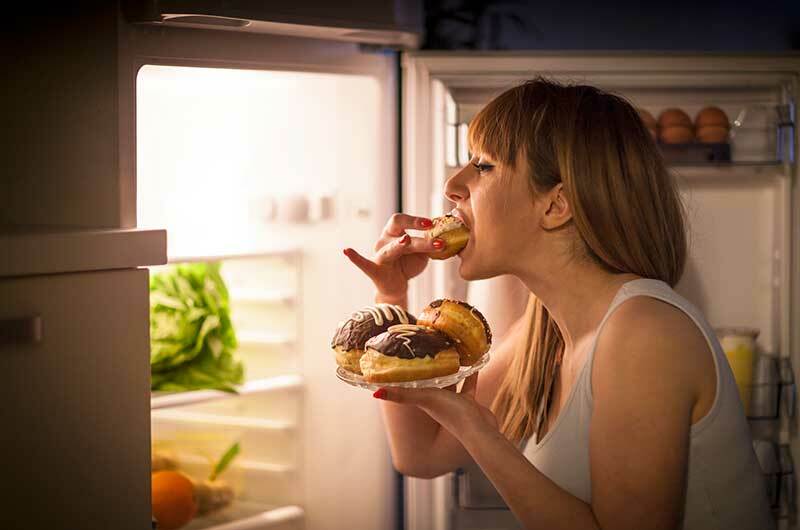 This can lead some dieters to periodically lose control and eat until full, a behavior called disinhibited eating. Some dieters experience changes in self-perception. If these people deviate from their diets, they may describe themselves negatively (e.g., “I have no willpower; I’m weak”). They base their self-worth on their dietary success, which can contribute to feelings of low self-esteem. engaging in marketing efforts to help retailers change shelf layouts so that consumers’ attention is drawn to reduced-calorie options and smaller package sizes. The reported changes in beverage-drinking habits from the program’s launch in 2014 to 2015 were slight. However, officials remark that driving change of this magnitude takes time, and beverage companies are committed to providing consumers with smaller sizes and information about consuming less sugar. The small-changes approach shows that concerned public health organizations can successfully collaborate with private sectors to combat obesity. Alliance for a Healthier Generation. 2016. Alliance for a healthier generation and American beverage association issue first progress report on reducing beverage calories. Accessed Oct. 2, 2017: healthiergeneration.org/news__events/2016/11/22/1646/alliance_for_a_healthier_generation_and_american_beverage_association_ issue_first_progress_report_on_reducing_beverage_calories. American Medical Association House of Delegates. 2013. Recognition of obesity as a disease. Resolution 420 (A-13), 2013. Accessed Oct. 24, 2017: npr.org/documents/2013/jun/ama-resolution-obesity.pdf. Buchanan, K., & Sheffield, J. 2017. Why do diets fail? An exploration of dieters’ experiences using thematic analysis. Journal of Health Psychology, 22 (7), 906–15. Hall, K.D., et al. 2012. 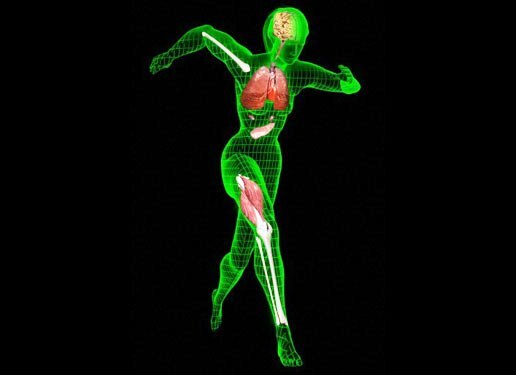 Energy balance and its components: Implications for body weight. American Journal of Clinical Nutrition, 95, 989–94. Hill, J.O. 2009. Can a small-changes approach help address the obesity epidemic? A report of the Joint Task Force on the American Society for Nutrition, Institute of Food Technologists, and International Food Information Council. American Journal of Clinical Nutrition, 89, 477–84. Levine, J.A., et al. 2005. Interindividual variation in posture allocation: Possible role in human obesity. Science, 307, 584–86. WHO (World Health Organization). 2017. Obesity and overweight. Accessed Oct. 24, 2017. who.int/mediacentre/factsheets/fs311/en/. Young, L R. 2005. The Portion Teller. New York: Morgan Road Books. The average person takes between 2,000 and 2,500 walking steps per mile as counted by a pedometer or fitness band. Running steps have a longer stride length and you may take between 1,400 and 1,700 steps per mile. A total of 10,000 steps equals 4 to 5 miles. But the number of steps per mile varies from person to person and depends on your stride length. Measuring your stride length will give you a much more accurate number for your personal steps per mile. Your stride length is the distance is from the heel print of one foot to the heel print of the other foot. This is the distance traveled forward by a single leg. Your stride length varies depending on whether you are walking or running, and whether you are on hills or rough trails, or crossing streets with starts and stops. See more rules of thumb and ways to estimate your typical steps per mile. When it comes to new year’s health resolutions, focus on the small things that can be easily maintained year round. Follow this month-long guide for daily tips. The best way to find your average steps per mile is to count them over a course of a known distance, several times, and find your own average. You can use a step-counting pedometer or the pedometer function of your mobile phone to count your steps, or you can count them in your head. Track: To find a measured mile, you can use a regulation quarter-mile track at a local school. You may have to ask the coach to ensure it is a quarter-mile track (1,320 feet) rather than a 400-meter track (1,308 feet). Walk in the inside lane only. Count your steps. It’s best to go around four times to get a full mile on a quarter-mile track, so you won’t need to do any math. For a 400 meter track, go around four times and multiply your steps by 1.009. App: You can use a mobile app such as MapMyWalk that will count your steps and measure a mile with your phone’s GPS at the same time. However, the mile distance can be off by 10 percent using GPS. For better accuracy, choose a place to walk that is in an open area with a clear view of the sky and no twists or turns. GPS signals travel between your phone and multiple satellites in orbit. They can get confused by buildings, trees, and hillsides, resulting in a less accurate distance measurement. Measured Mile: Another method is to use an online mapping site to map you a mile course in your local area, then walk it with a pedometer or pedometer app. It’s wise to choose a straight course without turn and curves for the best accuracy. Most pedometers request that you enter your stride length during setup in order to calculate distance based on your step count. An average that you will see listed in many places is 2.2 feet (0.67 meters) for women and 2.5 feet (0.762 meters) for men, but it depends very much on height. Steps per mile would be 5,280 feet divided by your stride length in feet. A pedometer takes the number you have entered as stride length and divides a mile by that number to calculate the distance you have walked. Fitness trackers you wear on your wrist may be counting arm motion rather than steps. Read the instructions to see how to set its sensitivity, so it isn’t over-counting steps. Research says that wearing it on your non-dominate wrist is better for accuracy. For example, if you are right-handed, wear it on your left wrist. Your steps per mile will be inaccurate when wearing a wrist-based fitness tracker if you don’t use arm motion, such as when you are holding onto the handrails of a treadmill or pushing a baby stroller. They may also be inaccurate when you are using trekking poles and not moving the poles every step. Barreira TV, Rowe DA, Kang M. “Parameters of Walking and Jogging in Healthy Young Adults,” International Journal of Exercise Science. Vol. 3 (2010) Iss. 1. Hoeger WK, Bond L, Ransdell L, Shimon JM, Merugu S. “One-Mile Step Count at Walking and Running Speeds” ACSM’s Health & Fitness Journal, January/February 2008, Vol. 12, No. 1. What Really Causes Muscle Spasms and Cramps? If you’ve ever had muscle spasms or muscle cramps, you know they can be extremely painful. In some cases, a muscle may spasm so forcefully that it results in a bruise on the skin. Most muscle spasms and cramps are involuntary contractions of a muscle. 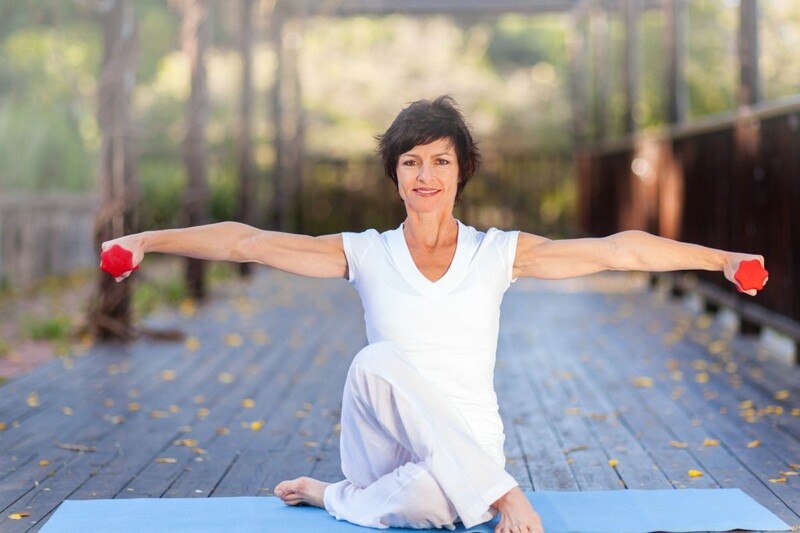 A serious muscle spasm doesn’t release on its own and requires manual stretching to help relax and lengthen the shortened muscle. Spasms and cramps can be mild or extremely painful. Other factors that have been associated with muscle cramps include exercising in extreme heat. The belief is that muscle cramps are more common during exercise in the heat because sweat contains fluids as well as electrolyte (salt, potassium, magnesium and calcium). When these nutrients fall to certain levels, the incidence of muscle spasms increases. Because athletes are more likely to get cramps in the preseason, near the end of (or the night after) intense or prolonged exercise, some feel that a lack of conditioning results in cramps. While all these theories are being studied, researchers are finding more evidence that the “altered neuromuscular control” hypothesis is the principal pathophysiological mechanism the leads to exercise-associated muscle cramping (EAMC). Altered neuromuscular control is often related to muscle fatigue and results in a disruption of muscle coordination and control. According to a review of the literature conducted by Martin Schwellnus from the University of Cape Town, the evidence supporting both the “electrolyte depletion” and “dehydration” hypotheses as the cause of muscle cramps is not convincing. He reviewed the available literature supporting these theories and found mostly anecdotal clinical observations and one small case-control study with only 10 subjects. He also found another four clinical prospective cohort studies that clearly did not support the “electrolyte depletion” and “dehydration” hypotheses as the cause of muscle cramps. In his review, Schwellnus concludes that the “electrolyte depletion” and “dehydration” hypotheses do not offer plausible pathophysiological mechanisms with supporting scientific evidence that could adequately explain the clinical presentation and management of exercise-associated muscle cramping. What matters most when weight loss is your goal. What is the best way to lose weight? Dieters often get confused about whether they should count calories or carbs to slim down. Much of confusion is the result of the calories vs. sugar debate. Does calorie count matter more or should you reduce sugary carbs for weight loss? And what about fat? To get the answer, it’s important to sort through the nutrition facts. To lose weight, you must create a calorie deficit.That means you need to burn more calories than you consume. In very simple terms, it means that most of us need to eat less and move more. We can burn more calories through exercise or increased daily activity (for example, by boosting your step count) You can also create a deficit if you consume fewer calories each day. So calories do count. But your intake of fat, sugar, and carbohydrates can affect the total number of calories you consume each day. That means you should pay attention to those numbers as well. Fat. A single gram of fat provides nine calories of energy. A single gram of carbohydrate or protein only provides four calories. If you eat foods high in fat, your total caloric intake can increase quickly because the calorie cost is so high. But eating a reasonable amount of healthy fat can be smart for your diet. 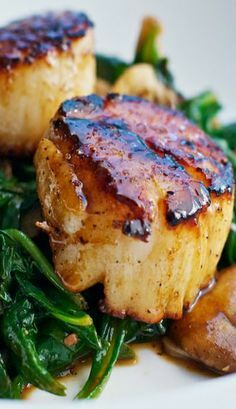 Fat helps you to feel full and satiated. If you eat a small amount of fatty food, you may feel satisfied sooner and eat less overall. 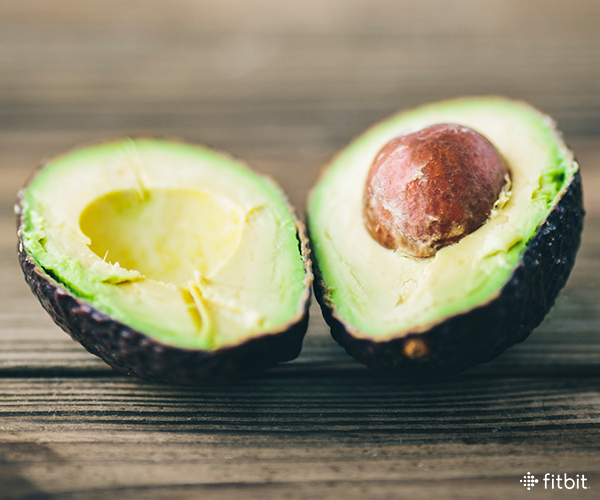 For that reason, foods that contain healthy fats like certain types of fish, nuts or avocado can be a smart addition to your weight loss diet. Sugar. Sugar itself isn’t necessarily bad for you. But many of us consume way too much sugar without even knowing it. Sugar is added to many of the processed foods we eat. Foods like ketchup, salsa or canned soups may contain added sugar even though they aren’t sweet. And many of the drinks we consume are loaded with sugar. Increased sugar consumption has been linked to serious health consequences such as an increased risk for type 2 diabetes, metabolic syndrome, and obesity. Aside from the health consequences of consuming too much added sugar, there are diet drawbacks as well. Many experts feel that the more sugar we eat, the more sugar we crave. So if you can reduce your sugar intake, you may be able to reduce your total caloric intake and lose weight. Carbohydrates. At four calories per gram, carbohydrates are a good source of energy for your body. But overeating refined carbohydrates like white rice and white bread is very easy to do and that habit can drive your calorie count through the roof. In addition, when you eat low nutrient carbs, those items displace healthier foods—including a protein that can help you feel full and eat less. If you choose to count carbohydrates to lose weight, make sure that the carbs you keep in your diet are full of important vitamins and minerals like fruits, vegetables, and whole grains. To create a calorie deficit and lose weight, most people find it easiest to count calories. The calorie count is easy to find for most foods and easy to tally with a weight loss app or tracker. Also, your calorie count is what matters in the end if you want to lose weight. However, as you count calories, it is helpful to look at your balance of carbohydrates, protein, and fat. If you keep your carb intake within recommended guidelines (50-65% of your total calorie intake) that leaves enough room to eat a healthy amount of protein and fat. By consuming a healthy, balanced diet, you are more likely to provide your body with the fuel it needs to stay active. In the United States, heart disease kills more people than any other cause. But here’s some good news: There’s a lot that you can do to lower your risk of heart disease. In fact, seven of 10 risk factors for heart disease are things you can control. While you can’t control your age, genetics and gender (men are at higher risk), you can significantly lessen your probability of heart disease by not smoking, being physically active, eating a healthy diet, maintaining a healthy body weight, and controlling cholesterol, blood pressure and blood sugar (the last four risk factors are closely tied to what you put in your mouth). By rarely consuming seven of the most damaging foods for your heart, you’ll significantly lower your risk. Dr. Erin Nitschke, ACE Health Coach, Fitness Nutrition Specialist & NSCA-CPT, is a Health & Human Performance college educator and fitness blogger. 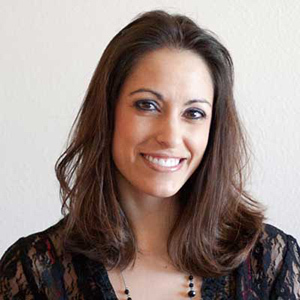 She has over 14 years of experience in personal training, education, and instructional design. To Erin, being fit means finding an equilibrium between all dimensions of wellness. Erin is personally and professionally dedicated to teaching students and clients how to achieve such balance through learning and focused skill development. A common nutrition question we get at The Cooper Institute is “Are nuts good or bad for you?” Many years ago when low fat diets were popular, and before we or anyone else knew any better, people were advised to limit their intake of nuts because of their high fat content. My, how times have changed! Rather than being the villain of yesteryear, fat is now acknowledged as an important component of a healthful diet. Before I go any further, it’s important to realize that not all dietary fats are alike. While monounsaturated and polyunsaturated fats are regarded as healthful, individuals both young and old are still advised to limit their intake of saturated and trans fats. So what about nuts? 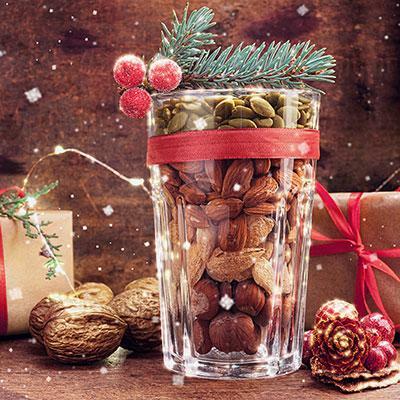 First off, nuts are a great source of protein, fiber, vitamins, minerals, and antioxidants. While they do have a high fat and calorie content, nuts are loaded with heart-healthy mono and polyunsaturated fat, and most nuts are relatively low in saturated fat. The key thing to remember is moderation. No one is saying that it’s good to consume an endless amount of nuts or peanut butter every day. On the other hand, there is strong scientific evidence that consuming an ounce (a small handful) of nuts daily is associated with a marked reduction in the risk of chronic disease or early death. Let’s take a look at a couple of recent state-of-the art studies. In a 2015 paper published in the American Journal of Clinical Nutrition, 20742 male physicians with an average age of 67 years completed a comprehensive food-frequency questionnaire between 1999 and 2002. The group was followed for an average of 9.6 years, during which 2732 all-cause deaths occurred. The relationship between nut consumption and risk of death was evaluated after taking several other factors that might ‘muddy the waters’ into account. Results are shown in Figure 1. 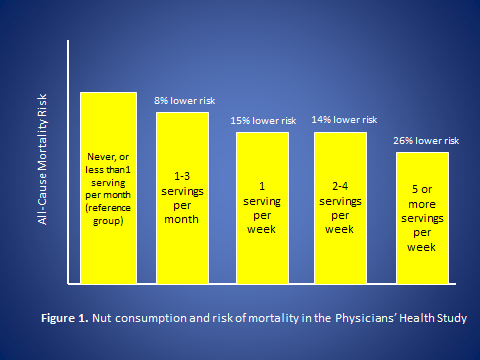 As shown in the Figure, there was a decreased risk of all-cause mortality across increased nut consumption category, with the group consuming 5 or more servings per week enjoying a 26% lower risk of death during the study period as compared to the group who never consumed nuts. In another manuscript published in 2016, researchers combined 20 published studies to examine the relationship between nut consumption and risk of all-cause mortality, cardiovascular disease and cancer, as well as diabetes and other causes of mortality. Using no intake of nuts as the reference group, for every 1 ounce increase in daily nut intake there was a 21% and 15% reduction in risk of cardiovascular disease and cancer, respectively. All-cause and diabetes mortality was reduced by 22% and 39% per 1 ounce increase in daily nut intake, respectively. Want more NUTrition information? Here’s a link to a document that provides the nutrients in one ounce of many types of nuts. Want more information on what one ounce of nuts really looks like? Here’s a great graphic. By the way, 2 tablespoons of peanut butter are equivalent to a 1 ounce serving of nuts. An extremely important thing to mention is that if you are planning to increase your nut intake, be sure to cut back in other areas, especially if you are watching your waistline. A great place to start cutting back is on so-called ‘empty calories.’ These would include foods and beverages with a lot of added sugars (e.g., soda), as well as foods that contain a lot of highly refined carbohydrate (e.g., doughnuts) and saturated fat (e.g., whole milk dairy). If you choose to drink, go easy on the alcohol as well! Basal metabolic rate (BMR; also known as resting metabolic rate, or RMR) is the amount of energy the body uses to support the functions of the organs and physiological systems, and comprises approximately 60-75% of TDEE. The three organs most responsible for burning calories at rest are the liver, brain and skeletal muscle, which burn 27, 19 and 18 percent of the RMR, respectively. It’s worth noting the brain alone uses about one-fifth of your RMR, which helps explain why you don’t think as clearly when you’re hungry. The thermic effect of food (TEF) is the energy the body uses to convert the food into more energy or to move it to a location to be stored (as fat) for use at a later time, and makes up about 10% of daily energy expenditure. The thermic effect of physical activity (TEPA) accounts for the remaining energy expenditure—about 15-30% of daily energy output. Included in this number is excess post-exercise oxygen consumption (EPOC), which is the amount of energy the body burns after exercise to return to its normal state. When it comes to TEPA, there are two different types of activity: planned exercise and the spontaneous non-exercise activities that occur every time you perform some sort of physical exertion, such as standing up from a seated position or running to catch the bus. While exercise is an important form of physical activity that can burn hundreds of calories at a time, other forms of physical activity, called non-exercise activity thermogenesis (NEAT), can play a significant role in helping to maximize the total amount of calories burned in a single day. Lipoprotein lipase (LPL) is an enzyme that plays a critical role in converting fat into energy. Remaining sedentary for long periods of time can reduce levels of LPL. Conversely, using NEAT to move consistently throughout the day can help sustain LPL levels and help the body maintain its ability to burn fat. Standing can make a difference. 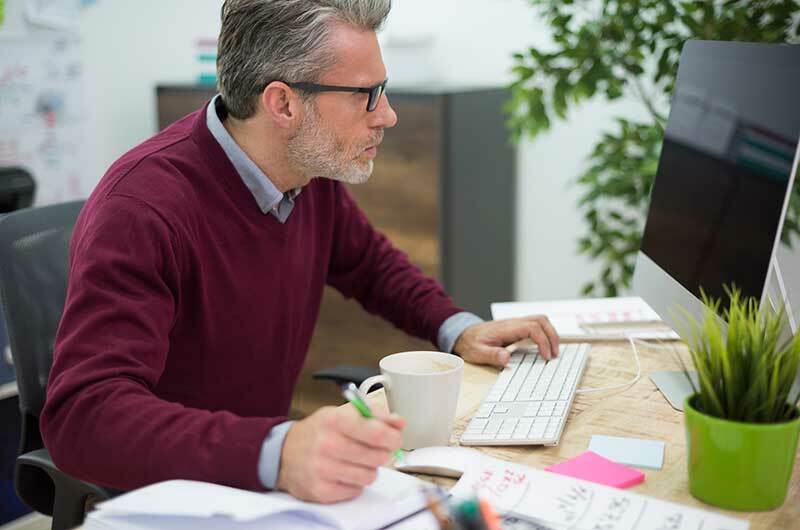 A growing body of evidence shows that sitting still for too long can be hazardous to your health. Simply standing is one form of NEAT that can help increase your daily caloric expenditure. Daily steps add up. The U.S. Department of Health has been promoting 10,000 steps a day as an achievable goal for daily physical activity. Even if you don’t make it to 10,000 steps, adding extra steps to your day is an important component of NEAT that can burn calories, while adding health-promoting activity to your life. Walk or cycle for transportation. Have you ever been stuck in traffic during your commute and thought, “There has got to be a better way?” By choosing to walk or ride a bicycle for your daily commute, you can burn significant amounts of energy during an activity where most people spend their time sitting. If you take a bus or train as part of your commute, getting off a stop or two early provides a great opportunity for some extra walking. Most errands are run in close proximity to home, so when you need to make that quick run for baking supplies, and time allows, walking to your destination is a great way to increase your NEAT. There is cleaning and then there is getting-ready-to-host-a-party or have-your-mother-in-law-over-for-dinner cleaning—we all know the difference. 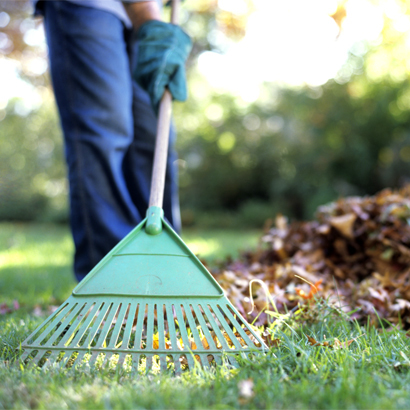 Doing additional tasks around the house or putting a little extra effort into your daily chores can be a great opportunity to increase daily NEAT. Play with your kids. In this modern era of having an app for everything, there is no app for spending extra time with your kids. 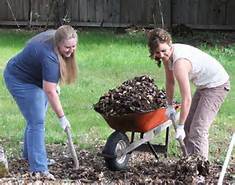 If you can carve out even a few minutes for playing catch, kicking a ball or walking down to your neighborhood park, you will be spending precious time with your offspring while racking up NEAT. An additional benefit to playing is that it can also help boost neural activity and cognition, so not only are you burning a few more calories, you could actually be increasing your brain function as well. If losing weight is your primary reason for exercising, NEAT is an essential component of that objective. One pound of body fat can provide approximately 3,500 calories worth of energy. Increasing NEAT by 200 calories (about the equivalent of walking two miles), while also making healthier nutritional choices to reduce caloric intake by 300 calories (the equivalent of a 12-ounce soda and a small bag of potato chips) equals about five hundred fewer calories a day. If you do that seven days a week, you will quickly reach the amount of calories necessary to eliminate a pound of fat. While seemingly small, making the effort to change your daily habits by adding more NEAT along with reducing overall caloric intake creates a foundation for long-lasting weight-loss success. If you are looking to keep your midsection or abs tight and toned for the hot months this summer (or all year long, for that matter), here are three great moves to add to your workout routine, along with three moves you should consider ditching. If you really want to train the muscles of your abdominals, add some resistance to your ab workout. When you train your chest or legs, you undoubtedly use some form of resistance to help stimulate those muscles. The same principal applies to training your abs. Add a small amount of resistance and recruit additional muscle fibers, which will make your midsection stronger. Step 1: Lie flat on your back on a mat. Step 2: Bend your knees and slide your feet toward your body. Step 3: Hold a medicine ball in your hands, just under your chin and on top of your chest. Step 4: Raise your shoulders and neck off of the mat. Step 5: Pause and repeat. Remember the sit-ups you used to do in school, where someone would hold your feet and you’d curl your back off the floor and sit up as far as you could? 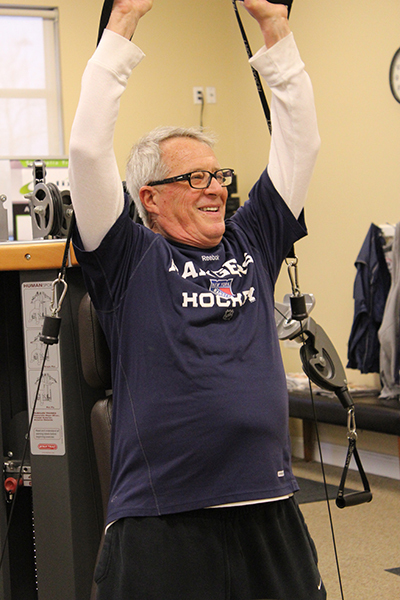 Those old school sit-ups put a tremendous amount of strain on your neck and back. And, while your fellow student thought he was a big help by locking your feet to the floor, he was actually helping to stabilize your core—something you should be doing on your own when you work the abdominals. If you have mastered the plank and are ready for some additional midsection training, try adding pivot planks to your routine. This exercise will train your entire midsection and core, without relying on additional muscles. Step 1: Get into a traditional plank position. Step 2: While keeping your entire body as steady as possible, slowly rotate your right hip toward the floor. Step 3: Pause and return to the starting position. Step 4: Repeat the same motion with your left hip. During the exercise, note whether or not you have the same range of motion on both sides. One of the go-to exercises for beginners and novices is the bicycle crunch. While this exercise can be done effectively, it’s usually done incorrectly, with most exercisers using momentum and the hip flexors to perform this move. This leaves the abdominals and oblique muscles unchallenged. 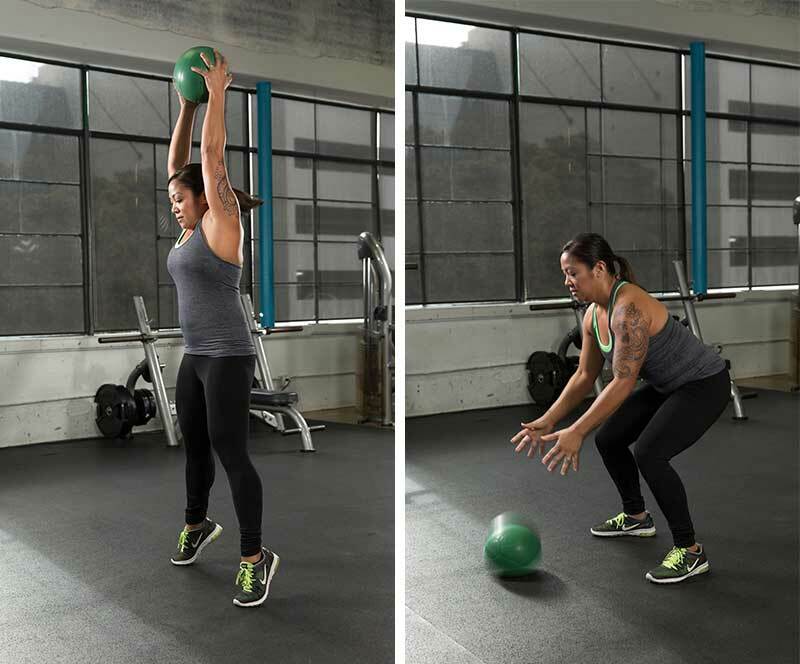 Slamming down and picking up a medium- to heavy-weight medicine ball (using correct form, of course) challenges your entire set of abdominal muscles, as well as most other muscles in your body. Step 1: Stand in an athletic stance while holding a medicine ball out in front of your body. Step 2: As fast as you can, raise your arms over your head. Step 3: Without pausing, slam the ball to the floor as fast as you can. Step 4: Pick up the ball and repeat. Try this move slowly until you get the correct form. During the entire move, be sure to keep your elbows slightly bent and your arms out in front of you. Lying flat on the floor and raising both arms and both legs up to meet in the middle will certainly challenge your abdominals, but the possibility of injury and strain of ancillary muscles, such as your neck or lower back, are far too great during this exercise. In addition to performing the correct exercises to keep your midsection toned this summer, a healthy diet consisting of a balance of protein, carbohydrates, fats and the correct amount of calories will keep you tight and toned all year long. Franklin Antoian ContributorFranklin Antoian is an ACE-certified personal trainer, writer for Sears FitStudio.com and fitness expert for MangeMyLife.com. 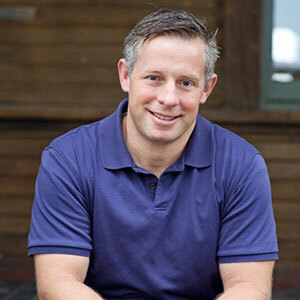 As author of “The Fit Executive: Fitness for Today’s Busy Professional” and founder of the online personal training website iBodyFit.com, Franklin has been featured in SHAPE Magazine, Fox News Online, INC.com Magazine and The Palm Beach Post.